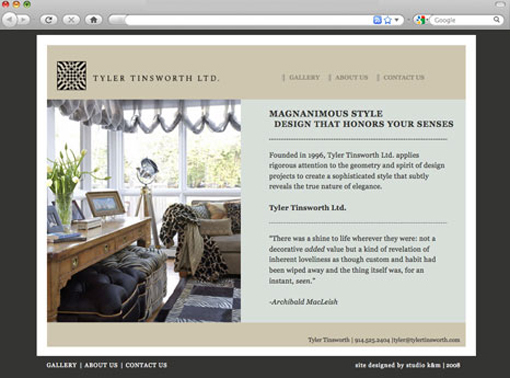 Tyler Tinsworth is a highly professional and experienced interior decorator whose work can be seen in stunning Park Avenue penthouses and spacious mansions in Greenwich, Connecticut. She was in need of a site redesign that would match her elegant, sophisticated style and position her among the best decorators. We designed the site to reflect her talent in a way that would showcase her interiors in a simple and easy manner.